http://www.spirent.com/Products/Temeva Spirent Temeva is a new Software-as-a-Service (SaaS) portal providing convenient access to the most up-to-date network and cloud testing solutions. Includes TrafficCenter, MethodologyCenter, and CloudStress. www.spirent.com/solutons/automotive V2X is the vehicle-to-vehicle infrastructure communication system that uses GNSS positioning data and radio signals to warn for and prevent collisions. This type of communication requires low latency and high security. At INTEROP 2013, Camille Campbell, Product Marketing Manager at Avaya, tells us about Shortest Path Bridging solutions from Avaya and inter-operability testing with Spirent. John from Gigamon takes us through Gigamon's latest network visibility products at INTEROP 2013. Fred Homewood, CTO at gnodal talks to us at INTEROP 2013 about gnodal's new 36 port boxes. 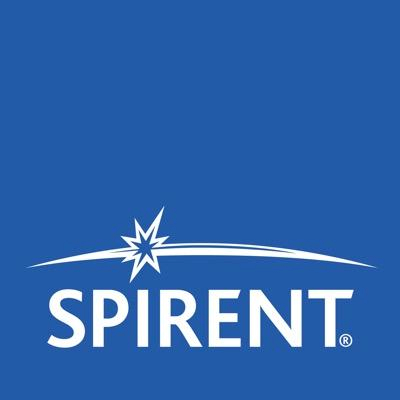 Spirent presents Testing Made Real, a case study demonstrating that testing with realistic traffic and scale is necessary to verify network equipment vendor performance claims. This video demonstrates Spirent's Nomad and Datum service experience tools, live from CTIA 2013. What Is Carrier Aggregation And How To Test? In order to meet the uplink and downlink throughput targets for LTE-Advanced mandated by 3GPP, more than 20 MHz of bandwidth is required in each direction. However, finding sufficient contiguous spectrum is not an option for most operators deploying LTE.